You are out for a drive, when a policeman waves you over. He looks at your dashboard, and declares "I see that you have a full tank of gas. I'm giving you a ticket for speeding!" Sounds ridiculous, doesn't it? Yet, lots of otherwise sensible people make a similar error when they equate the increase in the percent of children with an ASD diagnosis (prevalence) with an increase the rate at which new cases of ASD are occurring (incidence). You have both a gas gauge and a speedometer on your dashboard, but you cannot equate one with the other; the same is true for prevalence and incidence of ASD. This seminar is a pivotal training experience for anyone concerned with helping a child or adolescent with Sensory Processing issues. Every child is different and when one treatment plan may work for one, it may be ineffective for another. This seminar emphasizes many factors that can decrease SPD symptoms, and you will be able to immediately create and implement a specifically designed Sensory Diet upon return to your practice or home. This thorough seminar features extensive diagnostic information and hundreds of specific corrective activities for children and adolescents with SPD. Throughout the day, Dr. Taylor describes and demonstrates safe forms of movement and appropriate, fun and easy activities that avoid sensory overload while providing corrective and therapeutic sensory inputs. Please Note: These Findings Are PreliminaryThe analyses presented here by the Interactive Autism Network are preliminary. They are based on information submitted via the Internet by adults with autism spectrum disorders (ASD) or their guardians from the United States who choose to participate. 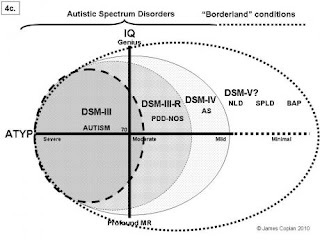 They may not generalize to the larger population of adults with ASD. The data have not been peer-reviewed -- that is, undergone evaluation by researchers expert in a particular field -- or been submitted for publication. IAN views participants as research partners, and shares such preliminary information to thank them and demonstrate the importance of their ongoing involvement. My son Leo's life was transformed when a five-dollar raffle ticket turned into a brand-new iPad. I'm not exaggerating. Before the iPad, Leo's autism made him dependent on others for entertainment, play, learning, and communication. With the iPad, Leo electrifies the air around him with independence and daily new skills. People who know Leo are amazed when they see this new boy rocking that iPad. I'm impressed, too, especially when our aggressively food-obsessed boy chooses to play with his iPad rather than eat. I don't usually dabble in miracle-speak, but I may erect a tiny altar to Steve Jobs in the corner of our living room. Oral health is a very important component of healthy daily living. But for some children with autism, oral health habits can be challenging. Autism Speaks has teamed up with Colgate and Philips-Sonicare to create a dental guide and video to provide tips for improving oral hygiene at home, as well as information about how parents and dental professionals can make a visit to the dentist's office less stressful and more productive. Our hope is that this guide will provide information for families to help begin a lifetime of good oral care. Participants will learn the techniques of discrete trial training, pivotal response training and teaching functional routines. Participants will receive examples of the STAR Autism Program lesson plans at each instructional level in order to practice their skills in implementing the program The STAR Autism Program can be used to teach children with autism the critical skills identified by the 2001 Na-tional Research Council. The ABA (Applied Behavior Analysis) instructional methods of discrete trial training, pivotal response training and functional routines form the instructional base of this comprehensive program for children with autism. Welcome to the website of the Association for Science in Autism Treatment As you know, there are many websites about autism treatments and interventions. In many ways ASAT is unique. We are not a business with a particular agenda. We are not trying promoting a particular treatment. We are not selling anything. Our mission is to share accurate, scientifically sound information about autism and treatments for autism because we believe individuals with autism and their families deserve nothing less. This intensive two-day training is designed to teach participants the theory behind the Picture Exchange Communication System (PECS) and the protocols for how to appropriately implement the six phases of PECS. The criteria for transitioning from PECS to other communication modalities.